We’ve known for quite some time now that eggs (more specifically egg yolks) are not the healthiest food in the world – but according to a new study, regular consumption has nearly the same adverse effect on the arteries as smoking cigarettes. The paper, published online in the journal Atherosclerosis, found eating egg yolks regularly increases plaque buildup about two-thirds as much as smoking does. Patients who consumed three or more yolks per week showed “significantly more plaque” than those who ate two or less per week. And what about egg producers? How do they feel about this study? Will they let their chickens go free tomorrow and apologize for giving their product a healthy spin all these years? Dr. Spence says consumers should be smart enough to listen to the right source. You can read the rest of Spence’s slam on the egg industry here – but the takeaway should be this: If you can’t drop eggs from your diet – at least limit your consumption. On that note, here are 10 delicious vegan breakfast ideas. Yea but what was the rest of their diet like? That is just as important! You can’t look at one ingredient without looking at the whole picture. Well the headline for this is bait and doesn’t reflect the content of the study. 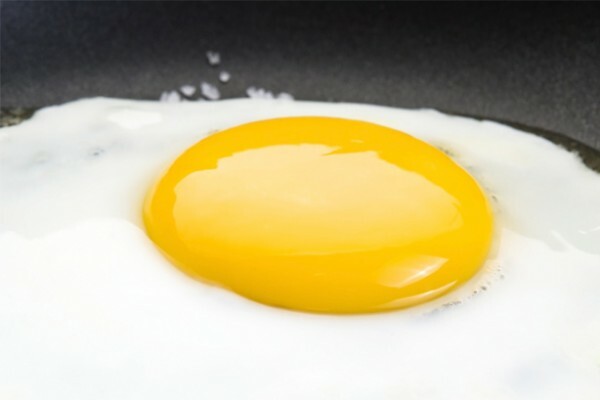 Egg yolks are *not* nearly as bad for the heart as smoking – the only claim is that they are 67% as bad on *arteries* (arteries exist throughout the body). Cigarette smoking damages essentially every cell and organ system in the body, even when smoking is done rarely or in moderation. I shared this article and someone pointed out the study was done on people already at risk for cardiovascular issues, and says futher variables need to be considered. Im vegan, and hate the egg industry… But I also hate looking like im spreading inaccurate info to support my own agenda. Please report more thoroughly… The message will be more impactful that way, anyways.